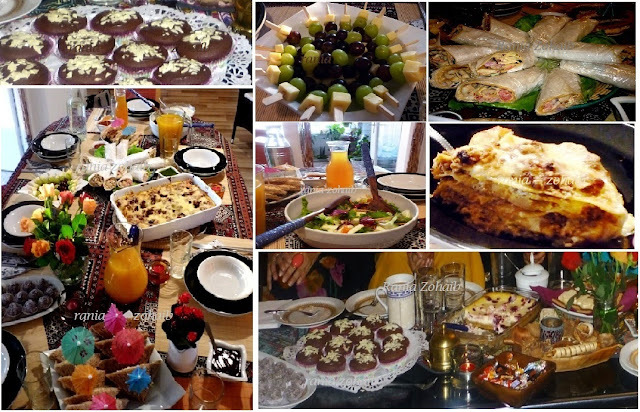 I had invited a bunch of jolly sweet lovely friends on a late High-Tea time. 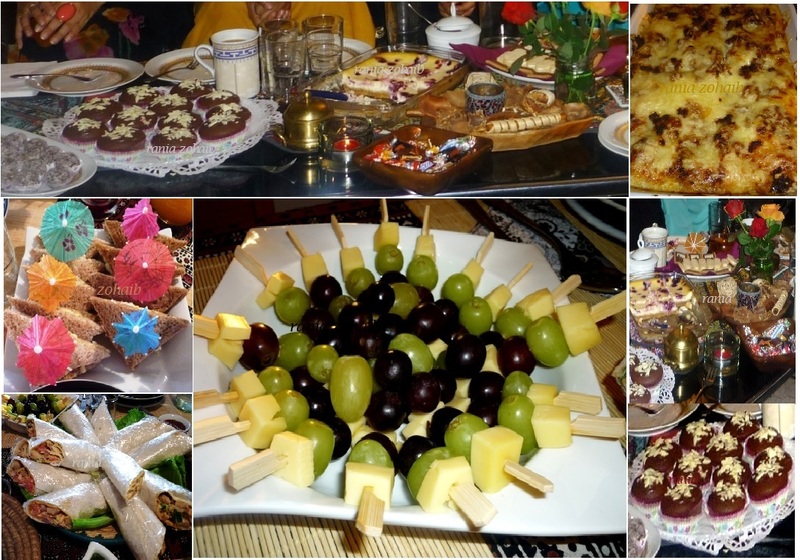 We had a great time among chit chatting and enjoying the Food. The recipes are to be found in the archives so just surf through or feel free to ask if you cannot find any of these. Made the Chicken Tikka after marinating it over night and fried all on a high flame to get the dry grilled result. I made a spread for the layer of the wraps mixing my Tomato Khatta (Sour Tomato Sauce, will come up next) and did the filing with the Cole Slaw and the fresh Kachumbar. *next day, just heat a Wok or a broad pan and fry all on a high flame and keep stirring , the water will evaporate and the juices will form a spicy structure. 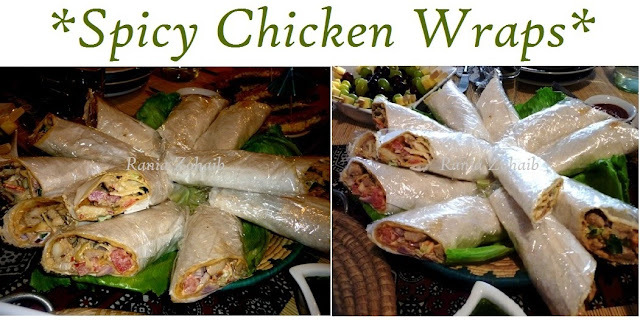 So here you go your wraps are ready. Wrap them in a butter paper then cling. 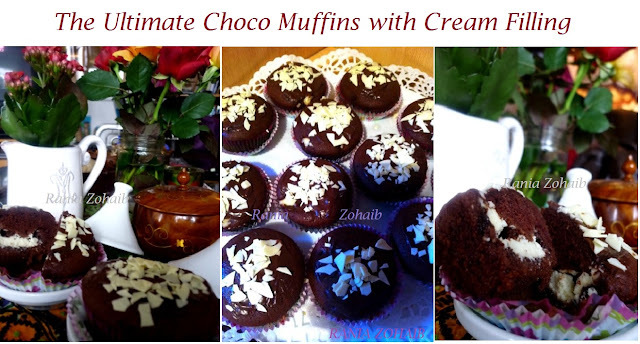 I love these Chocy Cream Muffins, they are such a delight and such a “melt in mouth ones” you cannot resist having the next.. Enjoy and do try them and make your family and friends happy !